Learn the power of creative visioning while gaining an understanding of the power of the subconscious mind and manifestation. Tap into your heart’s deepest desires and create the life you dream. In this workshop, you will access your inspiration through gentle yoga movement, chakra meditation, life coaching and journaling. You will create a vision board based on the goals that you set through life coaching exercises. 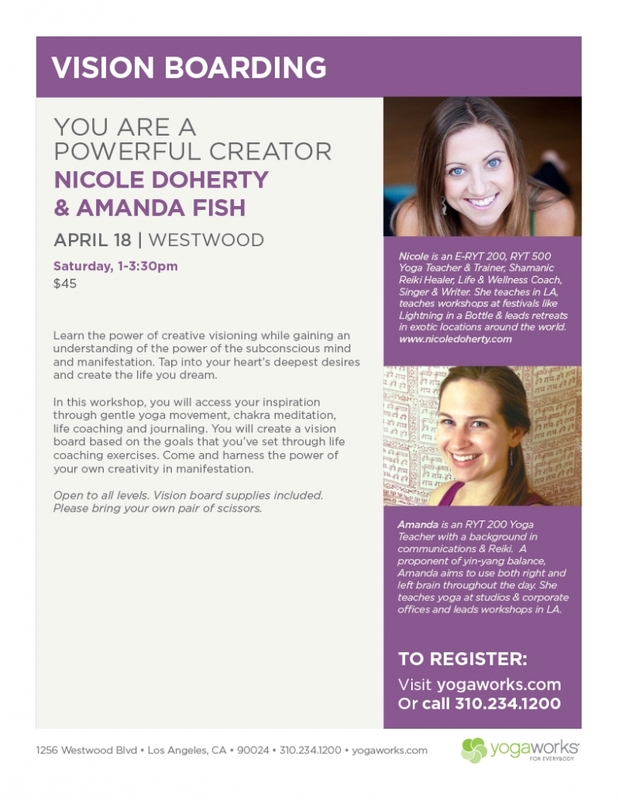 Come harness the power of your own creativity in manifestation. Supplies are included. BRING YOUR OWN PAIR OF SCISSORS!!! Open to all Levels.